We have achieved the School Games Bronze Award for 2015/2016! 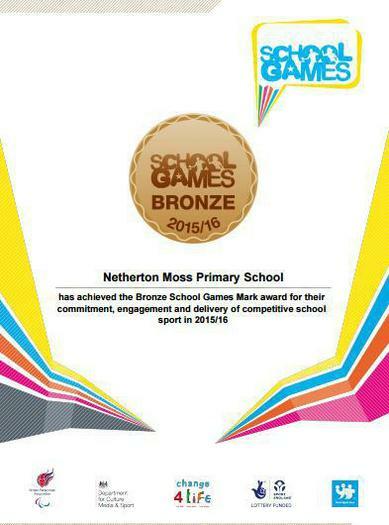 This is following our commitment to competitive school sport last year, congratulations to all at Netherton Moss! We are currently working towards another School Games Award for this academic year. The children have already participated in a number of competitions and have been enjoying lots of extra-curricular sport, from Basketball to Acro-Dance! We’re also looking forward to welcoming a Cricket Coach next term ahead of our Sefton Schools’ Cricket Competition.